Posted in Home, Mom Stuff, Organization, Planning	by Shannon M.
I use all kinds of stickers and washi in my planner, and I’ve started making my own stickers to fit my needs. I recently went back to school, so I have stickers with my classes and times, as well as “Homework”, “Study”, “Test”, and important dates to remember. More on those later. I also created fun inspirational stickers to add in, with my favorite quotes and motivational sayings. These are sized perfectly to fit in the weekly view boxes in the Life Planner, and are a great reminder to stay motivated. Some weeks I really need it! 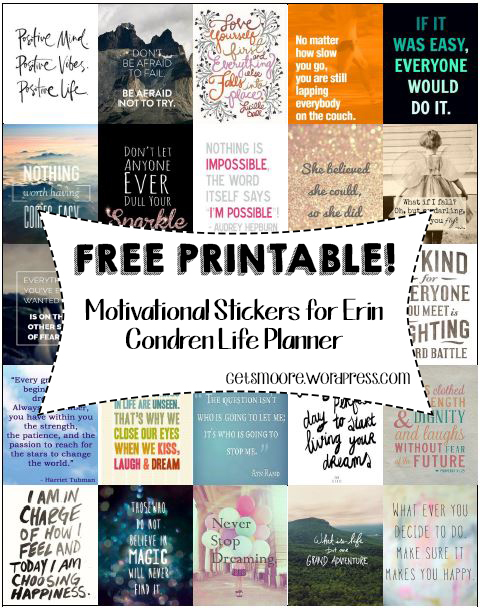 So, since they’ve helped me so much, I decided to offer my Inspirational Sticker Sheet FREE for you to download! 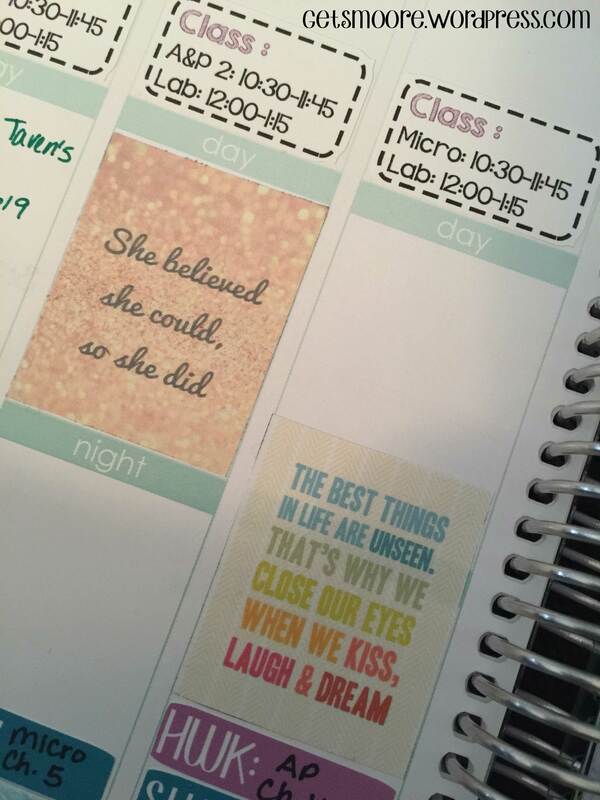 All you have to do is download, print, cut, and add adhesive to stick them in your planner. I cut them all apart, then run them through my Xyron sticker maker with repositionable adhesive (just in case I need to move the stickers). 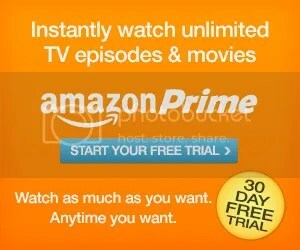 Go ahead, Download Now! You’re welcome. If you like these, be sure to check out my shop for more great stickers that are perfect for your ECLP. Don’t have a planner yet? 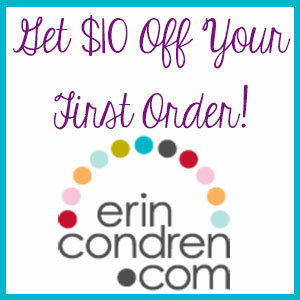 Go here to sign up and get $10 off your first Erin Condren purchase!